I've been entering 1999 lately-- or something. Taking pictures with the laptop, using skype, real-time collaborations on editing via google documents, using this blog more, scavenging through archives of literary critics. 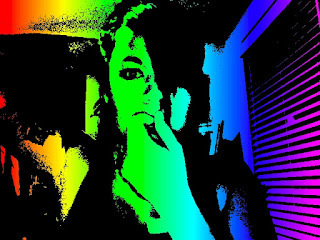 And so, a gay glam shot that kinda looks like me-- ya know, in rainbow.